Arrive Delhi. Assistance upon arrival and transfer to Hotel. After breakfast depart Delhi for Shimla arriving in Hotel late in the afternoon. 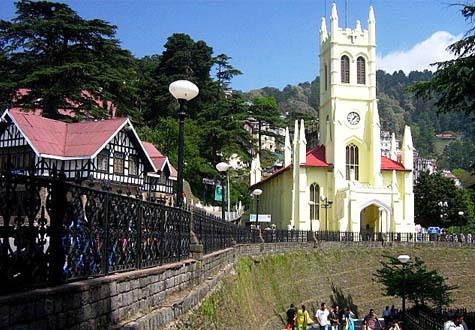 Shimla: Situated at a height of 7,000 feet above sea level, is once the summer capital of British India. Today, it is the capital of the beautiful state of Himachal Pradesh in North India, a land with snow capped Himalayan mountain ranges crossing 20,000 feet in altitude. A paradise for recreation and relaxation, Shimla today offers to the visitor riding, trekking, golfing, fishing, skating and skiing in winter, keeping up at the same time its old world charm that earned it the now famous title " Queen of the Hill Station ". In the evening enjoy at the Mall Road. After breakfast excursion to Kufri which is well known for its skiing slopes followed by sightseeing of Shimla City. 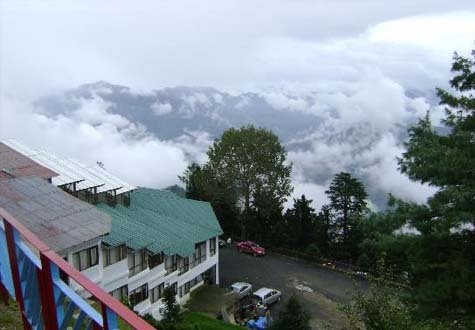 Kufri:- is a part of the timeless tranquility of the Himalayas. 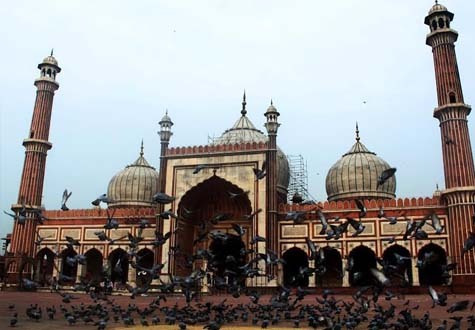 It offers a kaleidoscope of nature's best, embracing a wide variety of scenery in a small area. After seeing Kufri drive back to Shimla followed by sightseeing of Shimla city visiting:-The Mall ,Jakhoo Hill ,Summer Hill ,Chadwick Falls ,Prospect Hill ,Shrine of Kamna Devi. & Fruit Research Station. After breakfast depart Shimla for Manali via Kullu. Kullu Valley:- It is situated 127 miles from Shimla and is famous for its beautiful scenery, apple orchards and lively tribal music and dances. It is an excellent base for walks, trout fishing and gentle treks up through the pine and cedar forests. After seeing Kullu drive straight to Manali arriving in Hotel late in the afternoon. 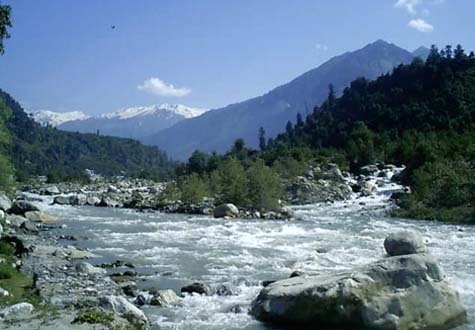 Manali :-Situated at an altitude of 2050 metres at the bank of river Beas is known for its natural beauty with lush green forests and snow-clad mountains. It is famous for Hadimba Devi Temple about half kilometre above HPTDC complex and is worth visiting. Manali is also a starting point for treks to Lahaul, Spiti, Ladakh, Zanskar and Kashmir which were part of the ancient trade circuits.It is also famous for winter sports activities. After breakfast excursion to Rohtang Pass followed by sightseeing of Manali city . 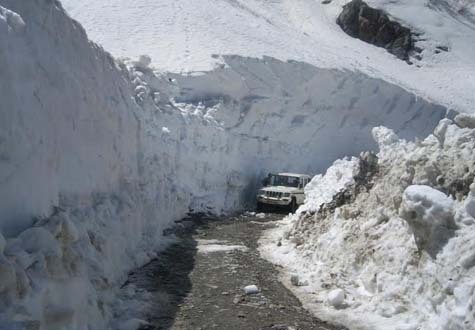 Rohtang Pass:- Situated about 50Kms from Manali town at an altitude of 4,111mtr. (13,400 ft.) on the highway to Keylong, is the Rohtang pass. Here one sees the majesty of the mountains at its height and splendour. After seeing Rohtang Pass drive back to Manali for sightseeing of Manali city visiting:-Nehru Kund, Hadimba Temple, Vashist Spring and the Mountaineering Institute. After breakfast depart Manali for Chandigarh arriving in Hotel by late in the afternoon. 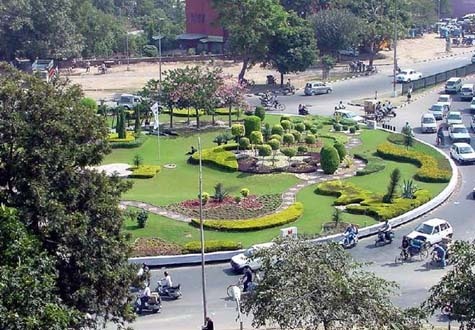 After breakfast sightseeing tour of Chandigarh city visiting:-High Court Building, Secretariat, Vidhan Sabha, Gandhi Bhawan, Museum And Rock Gardens. In the afternoon depart Chandigarh for Delhi Airport in time to catch flight back home.